If you are hanging around in the personal finance sphere, you have probably come across quite a few references to the side hustle. For many, their path to entrepreneurship starts from the side hustle. The testing out of a business, bit by bit, to determine how viable it is before taking the plunge. At some point, you have to determine how to both grow and to draw a profit out of your business. Let’s evaluate this from the perspective of an Etsy business. You make jewelry that sells like hot cakes in November and December, for the Christmas season. In fact, it sells so well that for the past two Christmases you have sold out of all your stock, before December 5th. You know that you can make enough product, but you face three choices. The first is to take no money at all out of your business from January to October, so that you build up enough of a fund to be able to buy all of your supplies for your best season. Yes, you can self-fund, but it also means that you are working for no paycheque at all for the bulk of the year. The second choice is to do the same thing that you’ve done in years past: make what you can, sell out and then restock. You know that you’re missing out on sales and you know that you’re missing out on getting your brand out there. Every sale that you miss is one less person telling their friends and family about your brand, creating even more demand for your amazing jewelry. Clearly, both of these choices are not ideal. But, as a small business owner, what else can you do? This is where business-speak comes in handy. If you’re running out of funds in order to create more inventory, you’re running out of working capital, also known as facing a cash flow shortage. In fact, lack of cash is one of the biggest reasons for failure amongst small businesses. 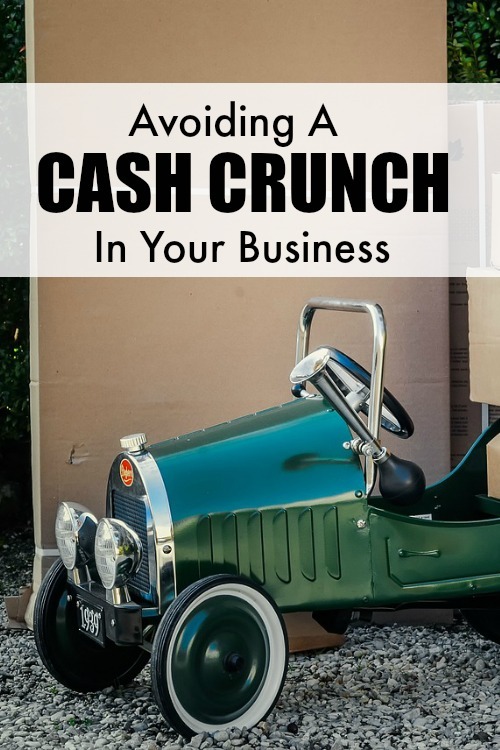 How do you get more cash for your business? Where can you find a lender willing to work with you? Thankfully there are a number of lenders familiar with the challenges of being a small business owner. For example, PayPal Working Capital provides business loans for businesses with a strong PayPal sales history. In addition, most lenders have dedicated small business loan managers who are there to walk you through the documentation requirements, loan terms and general process, to ensure that you are getting the products that you need. For newer businesses, lenders such as Get Capital pride themselves on more flexible requirements than traditional banks. With a loan in hand, you can scale up your inventory levels before your busy season, getting your product ready to go, while being able to bring in money for the rest of the year. Staying in stock through your busy season lets you increase your profits, create more customers and strengthen your brand. Even if you are not an Etsy seller, having a plan in place to ensure you do not run out of cash is an extremely important aspect of small business planning. Online businesses can even run into cash crunches when working to scale up. Money management is just one of the many balls to juggle in a business, so here’s to getting the pieces in place so you can focus on the other things that you’re passionate about in your business. It’s better to be prepared for financial challenges when you are running a business. I think PayPal Working Capital is one great lender I can depend on just in case I will be great need of cash.